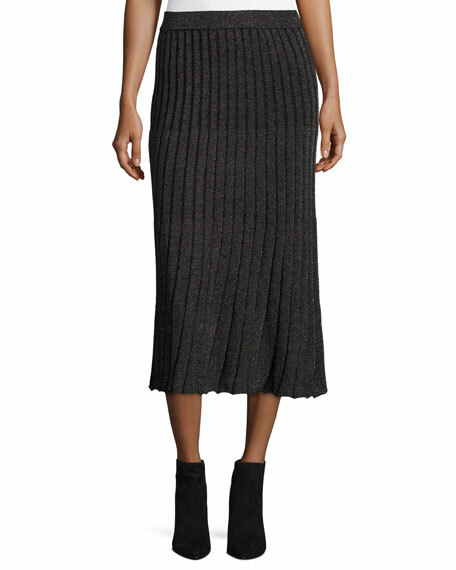 Rebecca Taylor ribbed skirt in metallic. 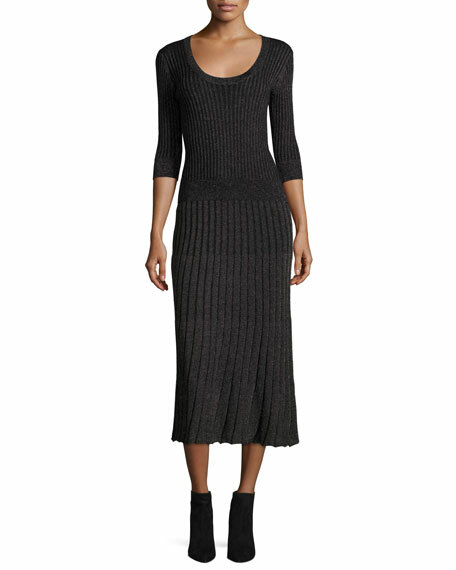 For in-store inquiries, use sku #2357927. 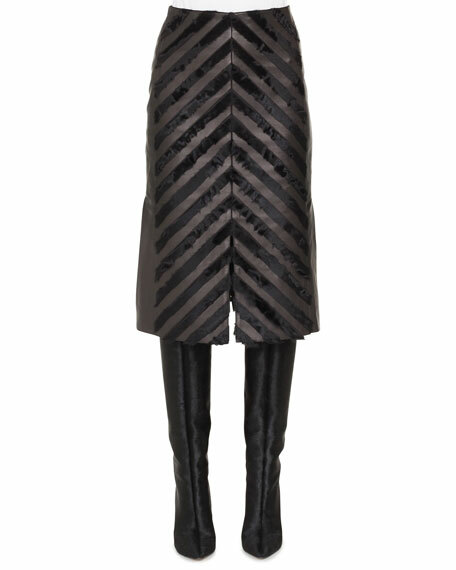 Akris skirt in dyed lamb (Turkey) fur and napa leather chevron. Sits at natural waist. A-line silhouette. Front hem slits. Midi length. Lining, viscose. Imported. 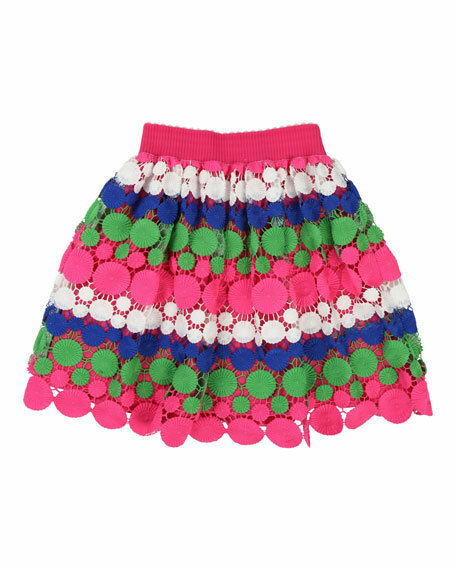 Billieblush skirt featuring multicolored lace overlay. 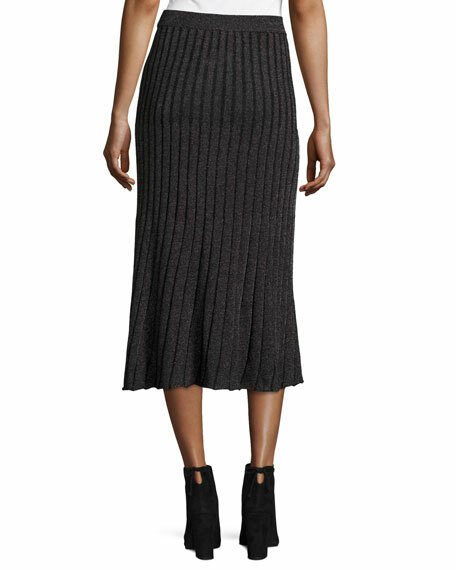 Ribbed, elasticized waistband with contrast picot trim. A-line silhouette. Scalloped hem. Pull-on style. Shell and lining: polyester. Imported. 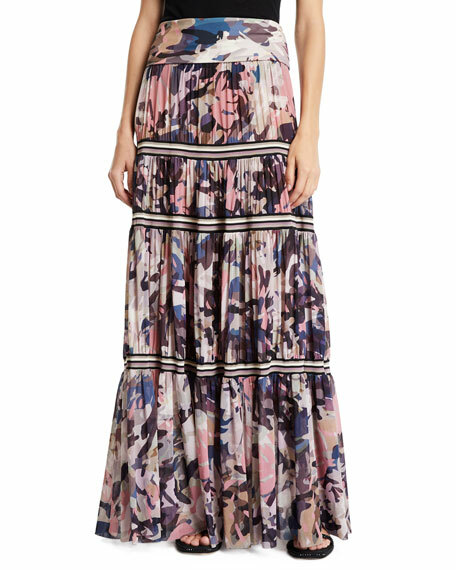 Brunello Cucinelli skirt in tulle with sequined plaid design. Scattered paillette sequins. Pleated tulle overlay. Banded waistline. A-line silhouette. Mini illusion. Midi length. Nylon self. Acetate/silk lining. Made in Italy.